Why do Subsidized Apartments in Arlington Cost so Much? Arlington Greens have been complaining for the past 4-5 years about the exorbinant cost of the subsidized “affordable housing” apartments (“committed affordable units” or CAFs) which have been averaging about $400,000 each in actual construction costs. 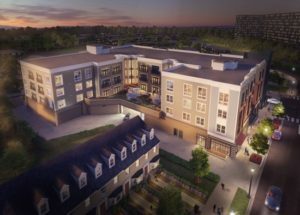 For example, the APAH project at the former Arlington Presbyterian Church site now being constructed close to Columbia Pike and S. Glebe Road entails about 173 units (about 60 percent of the units (105) are studio or one-bedroom units) and cost $400,000 per unit. Arlington County Government is providing about $18 million total or $100,000 per unit in subsidy. Why does it cost a nonprofit housing developer (APAH) $400,000 per unit to build these subsidized units? The government, both the county and the Federal Government HUD, are providing roughly $300,000 in subsidies per unit. The church supposedly sold its land for under-market value; the nonprofit does not earn profits. Yet, these units the majority of which are studio or one bedrooms cost $400,000. Apparently the for-profit developer is able to sell units for below $300,000 and still make a good profit. How can a for profit developer put up luxury apartments in the same area of Arlington for $100,000 per unit less than a subsidized nonprofit developer? The answer is of course competition: there was no competitive bidding for the $18 million in county funds. support funding about 2,000 more housing grants of $300 per month to help the lowest income Arlington residents (those earning 50 percent or less of the area median income (AMI)). This will cost $7 million a year. We also bring tonight a petition supporting our request signed by 40 Arlington residents from all over our community. In FY 2017, the county will spend $10 million for housing grants for 1,200 households of which one fourth are families with a child, about half are disabled persons, and one fourth, seniors over 65. All earned well under 30-percent AMI. The county manager proposes to cut $0.5 million from FY 2017 level. We oppose that, and propose to add $7 million more to the $9.7 million spent this year. We recommend that you eliminate all eligibility restrictions for housing grants—except for income and personal financial assets. Today only disabled persons, seniors over 65 or couples with a child are eligible. We propose that the current zoning fee on apartment developers be increased to a reasonable level to raise $7 million more in tax revenue that would fund the expanded housing grants. According to the Affordable Housing Master Plan, there are 15,000 Arlington renter households earning under 50-percent AMI, and most receive no housing assistance. Housing grants are the county’s single most effective housing assistance program. A HUD study found that housing grants were 72 percent less expensive than building new subsidized apartments. One million dollars spent for Arlington County housing grants would help 250 households with a monthly $300 grant, whereas one million dollars spent for AHIF funding would help at most 8-10 households with a new unit. Two years ago the board unanimously approved the Master Plan with a goal to provide housing assistance to 640 additional households per year. 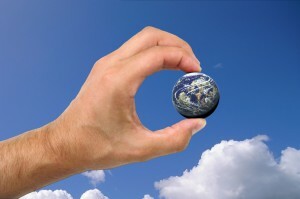 You need to come up with the funding and means to meet your goal, and tonight we offer you one possibility. Under the 2005 Affordable Housing Ordinance, the county requires developers of new housing projects needing or requesting a zoning change for the project to provide that at least 5 percent of the additional apartments added as a result of the zoning change to be “affordable rental units” or to pay a fee or a “cash contribution. For example, $1.88 per square foot of Gross Floor Area (GFA) for first 1.0 FAR; and $5.01 per square foot of Gross Floor Area (GFA) from 1.0 to 3.0 FAR for residential. Arlington County’s recent announcement of a secret deal in which the county board gave $6 million of local Arlington tax dollars without public involvement or notice to Nestle Corporation to move to an empty Rosslyn high rise is a classic example of crony capitalism to bail out Monday Corporation’s 27-story turkey in Rosslyn (empty since it was built in 2013), and a waste of precious local taxes that can better go to serve Arlington needy citizens, its school children, parks or other community needs. Arlington does not need to provide big businesses any more incentives; Arlington has been rated for decades as one of the best places to live, work or retire. Tack on our great transportation, low crime rate, great libraries, schools and recreation, and lower taxes compared to our neighbors, and even without our 6 million tax bucks Nestle would have come out ahead moving here. Perhaps county board members and our overpaid Arlington Economic Development staff on the county payroll need get to out and see what makes our community already GREAT. It’s small businesses that need help, not a hundred-billion-dollar-a-year corporations for whom 6 million bucks is a drop in the bucket. Let’s not overlook Nestle’s shoddy human rights record in third world countries either. The world’s largest coffee company should not be employing slave or child labor in its plantations abroad. We Greens support transparency in government, and this action was as hidden as darkness. Last year and this year, Greens have asked the county board and manager to come up with $8 million needed to begin to fund 1,800 housing grants as part of the affordable housing master plan that help some of our 30,000 residents making less than 50% area median income and the county board ‘pleads poor us, no tax revenues.’ If you give away the taxes that we residents pay to corporations, then of course there are no funds to help lower income Arlingtonians nor to build classrooms and hire more teachers for our bursting public schools. On November 30, the Historic Affairs Landmark Review Board (HALRB) voted 6-2 to proceed to the final study and review of designating the apartment buildings in Westover area of Arlington as a historic district. Arlington Greens including Steve Davis, Kirit Mookerjee and John Reeder spoke in favor of a local Arlington historic designation of Westover Village, particularly the apartment district threatened with demolitions. A number of tenants and historic preservation supporters spoke as well in favor of historic designation that would make it difficult to demolish existing apartment buildings which provide over 700 moderate income rental units in Westover. The county historic staff will next research and complete a full report within 6-12 months, and then the HALRB will vote whether to accept local designation and forward this to the Arlington County Board for its approval or denial. Arlington Greens have been working with tenants and historic preservationists to maintain the current moderate income rental units in Arlington; there are about 470 apartments that are market rate affordable rental units (affordable at 60 percent of the area median income) and about 223 subsidized committed affordable units. Developers have demolished about 62 units in the past two years and another 8 units are scheduled for demolition. Expensive townhouses are built in the place of these 70 year old apartments. Rents charged in 2013 in subsidized committed affordable (CAF) garden apartments in Arlington were compared to rents charged on average in county-wide, market-rate apartments in Arlington in 2013. The subsidized garden apartment CAFs rented in 2013 for about $1,300 per month for a one bedroom, and $1,760 per month for a 2-bedroom apartment. In 2013, there were about 6,500 CAF units in Arlington. The CAF rents were not significantly less than what a tenant could get from a private, market-rate landlord in that year. This is disturbing and counter intuitive since the county government provided about $10 million (roughly $100,000 in AHIF funding per new CAF unit), but the tenants did not receive lower rents. The county-wide market rents in garden apartments in 2013 were $1,369 and $1,667 per month, respectively, according to Arlington County Housing division. Thus, a one bedroom CAF unit rented for about $70 per month below the market rents, and a 2-bedroom CAF unit for about $100 above market rents. The combined average rent for one and two bedroom CAFs was about the same as the market rate for unsubsidized, market-rate units. Thus, the housing subsidy to the tenant in the CAF was zero. The CAF rents were derived from a sample of two large CAF projects, the Gates of Buckingham (348 units), and the Westover Apartments (115 units), both operated by AHC, Inc. The average rent for a one bedroom apartment in Westover Apartments was $1,197 per month and $1,550 per month for a two-bedroom unit. 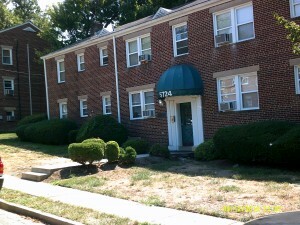 At Buckingham, a one bedroom unit rented for $1,391 and a 2-bedroom unit for $1,849 per month. Averaging these two complexes (prorated for the number of units) the average rent for a one bedroom was $1,294 per month, and for a 2-bedroom, $1,764. The Arlington County Housing Division annually surveys private landlords for rents charged countywide, and publishes these data in the Annual Housing Targets Report. For 2013, the average rent in Arlington charged for a -one-bedroom garden apartment was $1,369 and for a two-bedroom unit, $1,667. The average rent for all types of apartments in elevator apartments and garden apartments in 2013 was $1,780 for a one bedroom unit and $2,324 for a two bedroom unit, averaging $1,977 for all units. In summary, one bedroom CAF apartments in Westover and Buckingham rented for about $70 per month less than a private market rate one bedroom ($1,300 versus $1,369). A two bedroom CAF rented for about $100 per month more than a private unit ($1,764/month for the CAF and $1,667 for a private unit). Combined, the two principal types of CAF units rented at nearly the same as private market units, and thus provided virtually no rental subsidy to tenant living in the CAFs. Transparency of the CAFs thus indicates that there is little or no financial gain to tenants living in the 6,500 CAF units in Arlington. In fy 2013, Arlington County provided nearly $10 million in local funds for the affordable housing investment fund (AHIF) that goes only to maintain and build new CAFs. The benefit from these $10 million spent in only terms of lower rents for low income tenants was zero. With the demolition of about 70 apartment units in Westover over the past two years, it is clear what the fate of the remaining market-rate affordable units will be in the near future: a bulldozer. For this reason, community activists in June 2016 filed a petition to the county government to designate Westover Village as a local historic district, thereby providing some protections against any further demolitions. The county HALRB is to hold a public hearing on November 30 to evaluate this petition. Developers and some Westover homeowners argue against the historic district, and suggest other affordable housing tools be used to preserve the 400 units at risk. Unfortunately, the county has no other ways to stop demolition so this is disingenuous. In any event, the county cannot compel apartment building owners to sell to them or to a nonprofit. A nonprofit housing group APAH with county funding was able to buy 68 units, but 400 unprotected units remain under bulldozer threat. The Arlington County Board approved in September 2016 an $11 million loan to APAH to purchase these 68 units in Westover for preservation as affordable units, amounting to $161,000 per unit. Then APAH says it will remodel the units at a cost of $188,000 per unit, raising their cost to nearly $400,000 each. This leaves 400 units at risk. If the owners of the remaining 400 units were provided the same financing per unit, the county would need another $62 million in AHIF loans. But, the balance of AHIF funds is only $21 million currently after the latest APAH project, and thus the county is $42 million short. Thus, the county could not immediately finance the additional 400 units even if its owners wanted to sell right away. Some affordable housing supporters say that historic preservation will not solve the affordability problem, but in fact this is disingenuous. If the apartment buildings are demolished, there is no possibility of keeping historic affordable rental apartments at all, whereas with historic preservation and the buildings preserved at least short term, then there is time to find means to keep affordable rents. Longer term with a historic district in Westover, the county and nonprofits would be likely to finance gradual purchase of buildings as their owners decide to sell. The local historic ordinance requires that the owner of an historic building must first offer it for sale for one year at a fair market price before it can be demolished. Thus, a nonprofit or the county housing agency could purchase such a building. Thus, designating all Westover apartments as a historic district under local Arlington County ordinance is the necessary first step if the Arlington County Board sincerely wishes to preserve affordable rental housing. 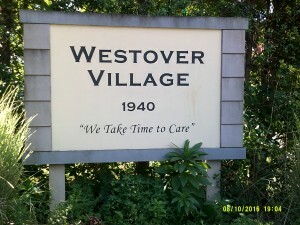 The later and necessary second step will be to provide financial resources to later purchase units or to subsidize their owners who will agree to permanently keep them as affordable rental units as has been the case in Westover for the past 75 years.